The Sustainable Energy Network is a Valdosta-Lowndes County Chamber initiative with the goal of educating the business community about energy efficiency and providing a platform that promotes and advocates for the Environmental Technology sector in Metro Valdosta. You must be a Chamber member to participate. The Sustainable Energy Network has partnered with the Green Chamber of the South to extend its resources and network for our members in Metro Valdosta. Through this partnership, the Sustainable Energy Network provides seminars, workshops, trainings and many other sources available to support the ET Sector of our community. The Alternative Fuels Data Center (AFDC) is a comprehensive clearinghouse of information about advanced transportation technologies. The AFDC offers transportation decision makers unbiased information, data, and tools related to the deployment of alternative fuels and advanced vehicles. The Office of Energy Efficiency and Renewable Energy (EERE) accelerates development and facilitates deployment of energy efficiency and renewable energy technologies and market-based solutions that strengthen U.S. energy security, environmental quality, and economic vitality. The Alternative Fueled Vehicle Roadshow stopped in Valdosta on June 20 at the Valdosta City Hall Annex. Public Service Commissioner Tim Echols was the host for this third annual event which featured several informative presentations in an effort to educate attendees on the history, trends and future of alternative fuels used in homes, businesses and municipal settings. Hate paying so much for gas? 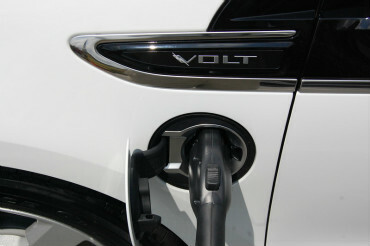 Join the Green Chamber of the South at Revenge of the Electric Car. It’s not just the next generation of green cars that’s on the line. It’s the future of the automobile itself. Retrofitting your lights is just one of many ways to save money fast. This was the consensus among energy experts at the Chamber’s Sustainable Energy Network’s workshop last week. With all that is involved in running a small business, it may be difficult to see how energy efficiency should be a high priority. Energy-efficient buildings use less energy, cost less to operate and improve comfort...saving money for businesses. A way to showcase our members who are making an effort to go green.